Many UK banks already create excellent experiences for their customers. But performance across the sector is highly inconsistent. Our largest institutions often struggle to embrace customer best practice in the areas that are most important to their customers, undermining customer relationships and reducing revenue enhancement. The evolution of UK banking is happening faster than many realise. Growing customer expectations, new technologies, inefficient legacy businesses and the changing regulatory environment have opened the door to competition from within and outside the sector. The safe, reliable rules of retail banking are becoming less relevant as new business models, technologies and generations of customers enter the picture. For those that embrace customer transformation today, the rewards will be immediate and profound. Those who act quickly to achieve ‘customer excellence’ will unlock a growth accelerator that creates both shareholder returns and a firm platform for future business development. To achieve this, we work with clients to build a distinctive customer transformation mind-set within the heart of their business, one that affects thinking from the boardroom, to the branch. We take lessons from the brands and sectors around the world that have learned how to delight customers, eliminate wasted expenditure and reach world class levels of experience delivery. We help develop competitively differentiating strategies and experiences. We implement closed loop systems that bring the customer’s voice into every level of the organisation and drive both improvements for individual customers and a customer orientation amongst those who serve them. The rewards for our clients in delivering customer experience excellence are not just economic, but a better, more endurable, way of banking. 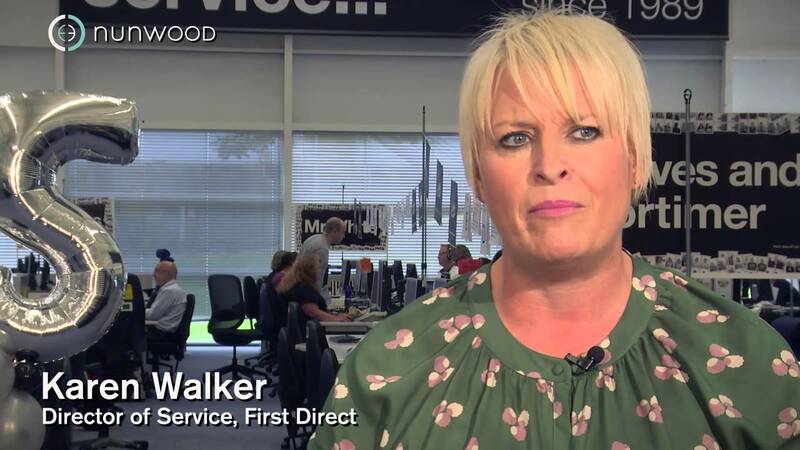 Karen Walker, Director of Service at First Direct, discusses the company's customer experience success and the importance of ‘recruiting for attitude, training the skill’.